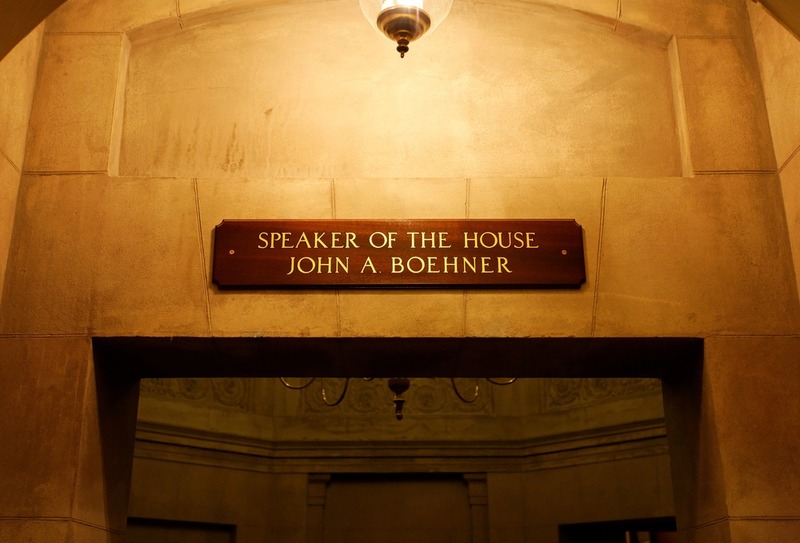 On Friday, John Boehner announced his resignation from Congress and as Speaker of the House. That same morning, NPQ covered an op-ed from Karl Rove in the Wall Street Journal, wherein he likened any attempt by congressional Republicans to force the shutdown of the federal government over Planned Parenthood funding to a suicide mission. Rove said that such an effort could cause a plummeting in the polls for the GOP, given the fact that few voters appear to support either the defunding or another shutdown. He pointed out that after the last shutdown over “Obamacare,” the GOP’s approval ratings declined by 28 percent—hardly a risk that party should want to take, given the current state of the candidate array. The fact is that women’s health organization Planned Parenthood has a strong dedicated national base, and even if continuing to wale away at it might be (in Rove’s opinion) the right cause, using a government shutdown as a threat is the wrong tactic. Still, by Friday, House Speaker John Boehner had realized he was in a no-win position, with a portion of his own party actively organizing for the shutdown and against any kind of compromise. By stepping down, he could throw a wrench into the ultraconservative machinery that would very likely be more effective than anything he might do while clinging to his position. Boehner, of course, is no pro-choice advocate; in fact, he’s exactly the opposite. But he does (now) believe in government that involves a level of compromise, and two shutdowns in his career might possibly be one more than he was willing to take responsibility for. Though he denies it, perhaps he was inspired by the Pope’s visit, or perhaps he was just sick of the whole scene and looking for his hands to be unshackled from the far right—at least for the remainder of his now-shortened term, which will extend to the end of October. Many expect he will use this time to advance legislation that has been held up by the conservative blockade in the House but which has bipartisan support. (This may include immigration reform.) Further, on Sunday morning on Face the Nation, Boehner declared that there would be no government shutdown. Meanwhile, the scrum has begun for leadership of the House, and the far right pro-defunding group celebrated as if a victory had been won. Still hoping to find a way to shut down the budget on principle, the conservative suicide crew may be moving on to concentrating on a budget cap as a point of no negotiation. This plan never had a chance. But over the course of the August recess in 2013 and the course of September, a lot of my Republican colleagues, who knew it was a fool’s errand, they were getting a lot of pressure at home to do this. And so we got groups here in town, members, the House and Senate here in town who whipped people into a frenzy believing they could accomplish things that they know, they know are never going to happen. It looks like leadership in the House may go from bad to worse. While John Boehner was never a champion of women’s health in this country, even he recognized that defunding Planned Parenthood wasn’t what the American people wanted. The extreme flank of this Congress has become so obsessed with ending women’s access to basic health care that they’ll pursue it at all costs—no matter how many Americans disagree, and how many women they hurt as a result. John Boehner was elected as House Majority Leader in an upset by new Republicans who tried to overthrow Newt Gingrich as speaker because he was too accommodating to Bill Clinton. Over his time in Congress, particularly from his time as chair of the education committee, where he and Ted Kennedy worked together to fashion a passable No Child Left Behind bill, he likely learned that extreme, no-prisoners tactics are ultimately self-defeating, especially when practiced repeatedly and against the will of much of the public. Whatever one might say about Boehner’s leadership, he seems to have backed himself into taking a principled stand. Meanwhile, Planned Parenthood can expect a much more intense political environment, at least in the short term, at various levels, as they continue to face off against a very vocal minority that would see them gone.